The Madison Area Musicians Association is made up of professional musicians in Madison, Wisconsin and parts of Southern Wisconsin and Northern Iowa. We have members who specialize in an extraordinarily wide range of musical styles. If you need music, we can help. Please check out our live music directory or contact us and we’ll help you find the right musicians for your event. We also encourage you to visit our Facebook page where you can find out more about what’s going on in the music scene right now. Thank you to all of the Local 166 members who came out to rally today (Friday, 2/25). We joined with Local 8 as well as the Stagehands and Actors Unions to march on the state capitol in support of our public sector Sisters and Brothers who are having their rights threatened. Check out our Flickr page for more photos of the march. 1005 Quinn Drive Suite 159, Waunakee WI 53597. We can be reached by phone at 608-222-3030 and by email at info@afm166.org. AFM members, who number almost 100,000, perform all styles of music: alternative rock, classical, pop, gospel, jazz, country, folk, rock, big band, reggae, contemporary Christian, etc.. With such active members as Roberta Flack, Santana, Yo-Yo Ma, Sheila E, Suzanne Vega, The Goo Goo Dolls, Willie Nelson, and Branford Marsalis, there is a strong representation of major recording individuals and groups. The AFM has been promoting and protecting professional musicians for over 110 years. Local 166 has been serving Madison and area musicians since 1901 and continues to be an effective advocate for musicians’ rights in the workplace (be that a nightclub, a symphony stage, in a recording studio, or on tour). The AFM and Local 166 protect the recorded works musicians produce from being exploited, and protect our members live performances by providing several types of benefit programs that help them to build successful careers. 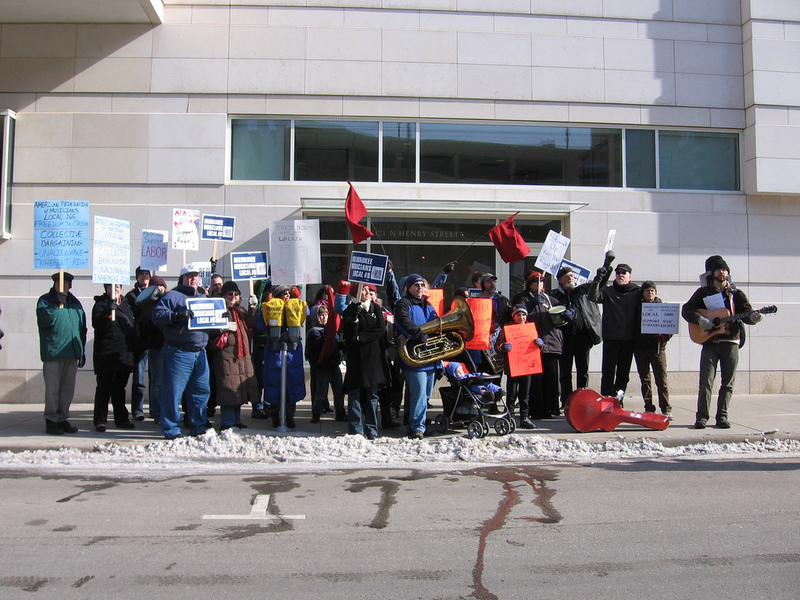 Members of Local 166 of the AFM are secure in knowing that their organization is actively lobbying to promote legislation and public awareness that protects musicians’ interests, negotiating collective bargaining agreements with the recording industry, motion picture industry, jingle industry, TV networks, National Public TV and Radio, and providing excellent wages and working conditions for its members.